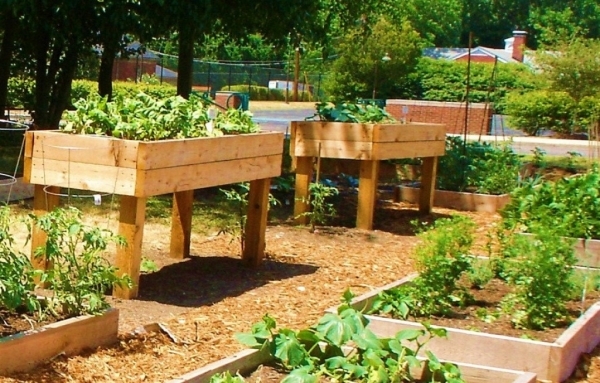 This entire article is going to consist of different pallet wood raised garden beds that would be used outdoor in our gardens and patios. 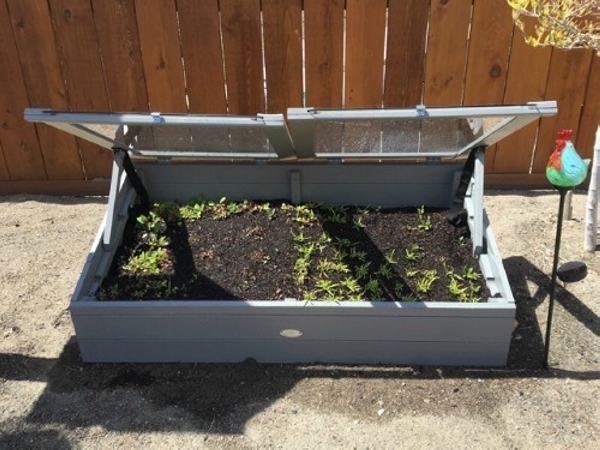 These raised garden beds could also be recognized somewhere as potential wood pallet planters that are considered to be a perfect substitute of old planter pots. 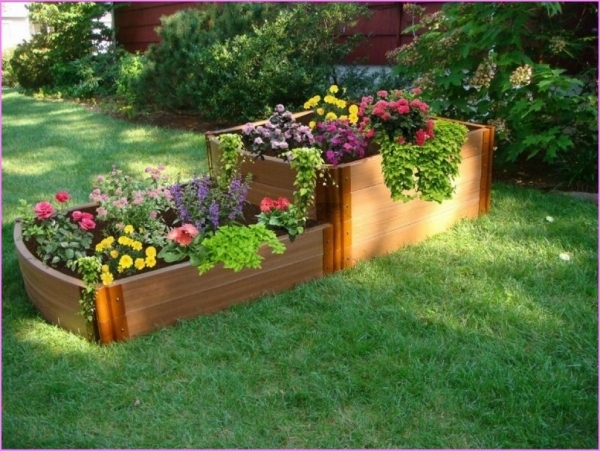 But these planters made with wood pallet have literally over shadowed the importance of those old stereotype planters. 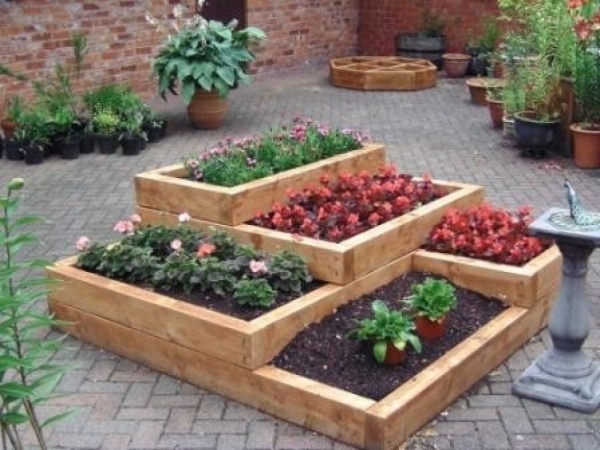 These raised wood pallet gardens would mostly be multi storey or multi layered where you can plant different flowers and plants at the same time having different segments of same single unit. These images are taken from a huge and lavish green landscape adjacent to a lavish house. 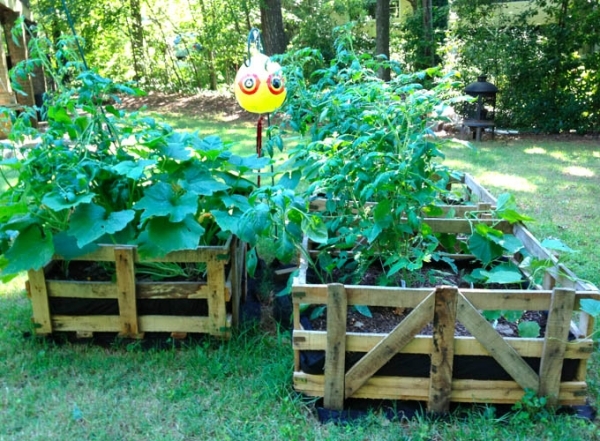 And what makes the scene worth observing are these raised wood pallet garden beds that are quite gigantic In size and also having built in wheels making them completely mobile. 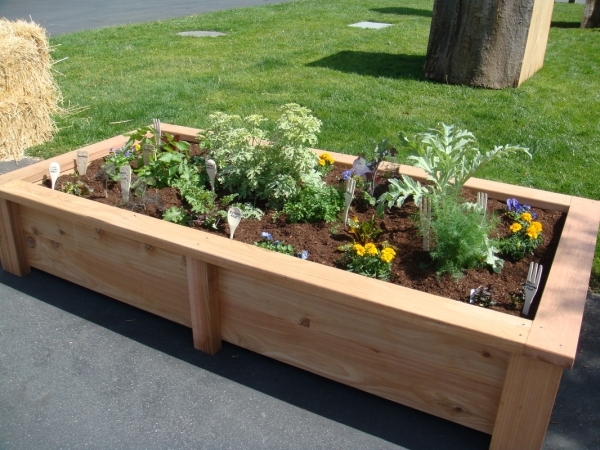 They have ample space for you to plant all your favorite plants inside these raised garden beds. 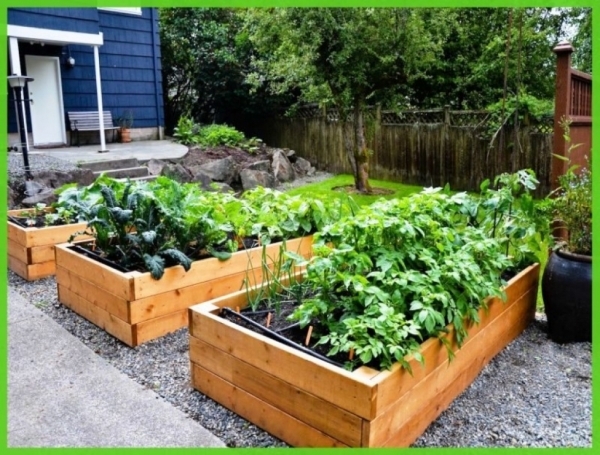 We used to see some muddy pots as planters or sometimes some concrete planters as well, but none of them could be matched or compared with these raised garden beds made with same shipping wood pallets. They are more like a decorative feature inside your garden. When you are planting on some larger scales, you have to plant multiple plants, herbs and shrubs at the same time in the same garden. 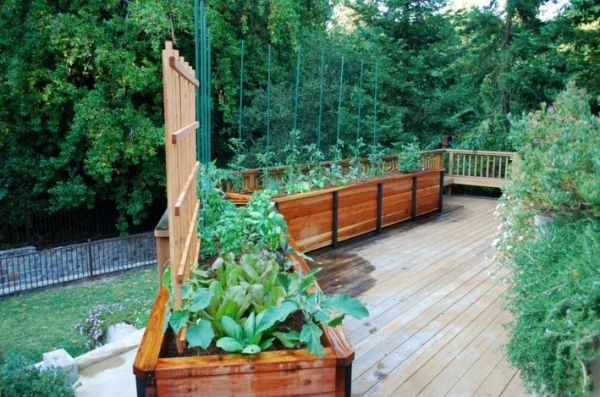 Then you must be very efficiently quipped with segmented portions, and this task can’t be played better than these wooden pallet raised garden beds. 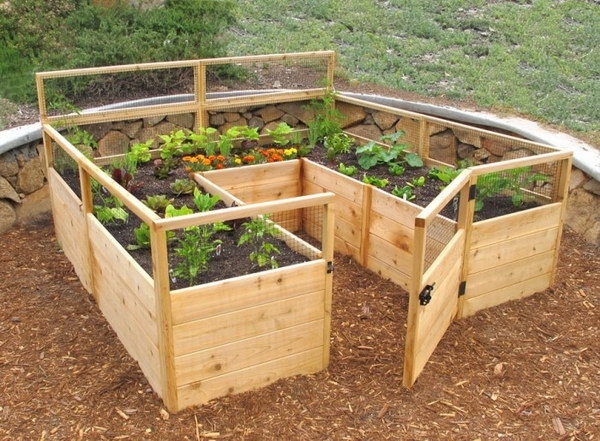 Wow, these raised beds are simply cute. They remind me of rural food containers for buffalos and cows, but don’t get confused. The pure intent here is to use them as potential wood pallet planters or raised garden beds despite of their strange design. Wood has undoubtedly got its special optical effect on the masses. People all around the world love wooden objects as they are pretty unmatched and no other material can take their place. That’s why they carry so damn high prices. But in our case, we don’t need to get worried about the finances. 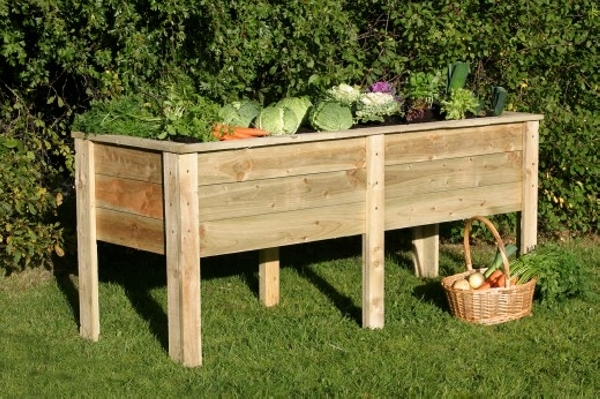 Another useful aspect of these wood pallet raised beds is that when you have got to grow some shrubs all away from the rest of plants, these raised beds would be an ideal place for these shrubs. You can prevent the rest of plants from negative impacts of some certain shrubs that you have planted inside these wooden beds. 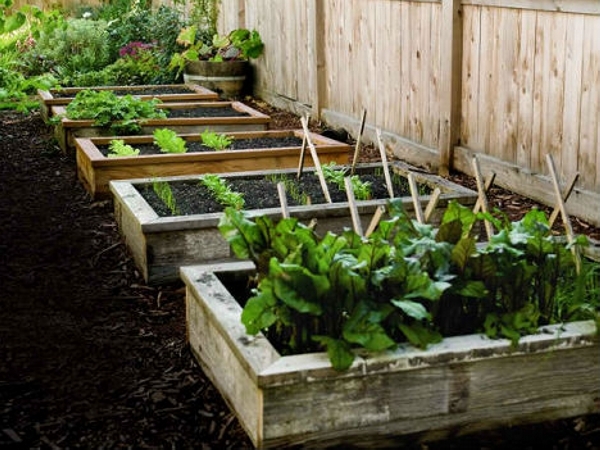 Growing your own fresh hygienic vegetables is getting more trendy with every passing day. It takes a bit of effort but the fruit of this effort is far bigger than your expectations. 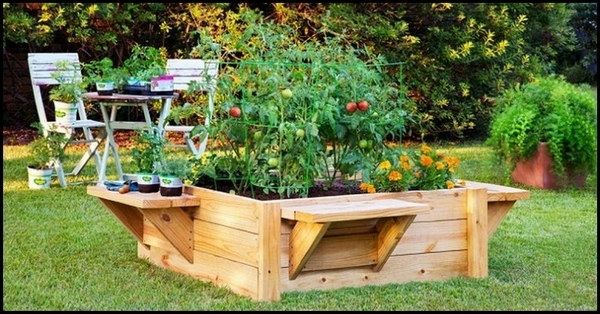 No matter if you haven’t got a green landscape, get yourself this raised wooden pallet garden bed and grow your vegetables inside it. Growing herbs is always a tricky and difficult task, we have to prepare a specific soil for certain shrubs, we have to be cautious about the Ph levels, quality of soil, watering and above all the area where we are planting them. But getting these raised beds makes this task so damn easy straight away. And this is a strange yet splendid pallet wood land carrying these classic raised wood pallet gardens. This is more like a garden décor idea making it a whole worthy place. And lastly this amazing wood pallet raised garden was created just to show you guys the potential qualities of pallet wood. This was just to show you that its your creativity that gives you the power and strength to make such adorable creations or otherwise they would simply be same rustic wooden shipping pallets and nothing else.